The next few weeks I will be in study mode. 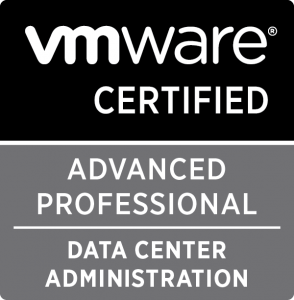 Then some exam training and on the 25th the VCP4 exam. I am exited and nervous, as I have not studies for an exam or cert for a long time. But I am also confident as I understand a lot of the material already. In preparation for this I have been gathering some white papers, been reading up on some things and have also been looking for a good book also. I was in the tram today paging through the Kindle app for the Android, and it struck me that the Amazon sphere would be the right place to consume this kind of stuff. I have the Kindle app on my Ipad, my Phone and on 2 PC’s (I don’t yet own an actual Kindle) and the fact that I can pick up wherever I left off, wherever I am and when I have some time spare, appealed to me. It’s a relief that I can actually find a good use for all these kindle outputs because I was stuck in the dilemma between the physical and the virtual. I will soon be receiving my first leather bound book from Easton Press, but for a while I felt torn between the superior convenience of ebooks, and the wish to have a proper physical book collection. But I realize now I can split the difference; educational books work a lot better as ebooks. So I can find good an honest use for both the old and new at the same time. This is greatly fulfilling to me somehow. I now even have a reason to get a Kindle.. perhaps. Still in the tram I bought Scott Lowe’s Mastering VSphere 4, Kindle edition, and directed Amazon to send it to all my devices. By the time I got home, it was already downloaded onto my Ipad. I used to collect a large amount of the MSPress books, but was saddened when I realized that most of them would become obsolete. Getting the ebook versions of these kinds of books might not necessarily be that much cheaper (mastering VSphere 4 set me back $41), but at least its not a waste of paper! For a long time I justified buying these books by saying that I would rather read from my hand that from the screen, and this is actually true. But The Ipad and Kindle are convenient enough (and even my Android phone is, to be honest), that I cant justify wasting the trees on this kind of book anymore. I was also thrilled to discover that some of the old Battletech novels are being re-released as Kindle versions. It was impossible to get your hands on, for example, the Blood of Kerensky trilogy in paperback form, it has been out of print for so long. I read most of the novels until Darkage started, but I never got my hands on some of the oldest titles. I hope they bring them all back! What a rich universe to re-discover! I have not got used to reading a book on the ipad – brightness/glare issue I think. How you finding that vs reading off paper?